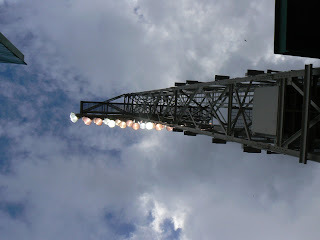 The light towers have become our "mascot," so here are some shots I took recently at Fenway. 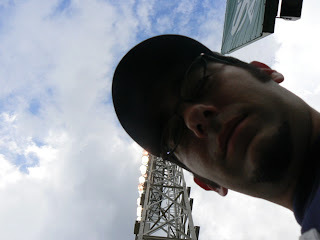 Above, the tower from atop the Green Monster. Click to enlarge. 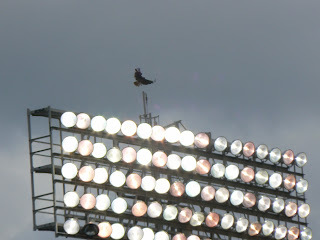 And finally, a Fenway hawk landing on a tower.